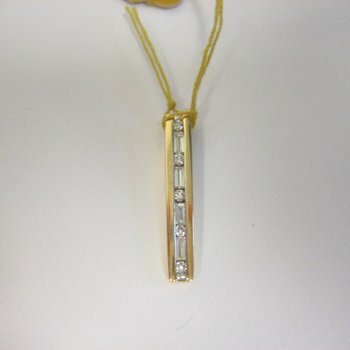 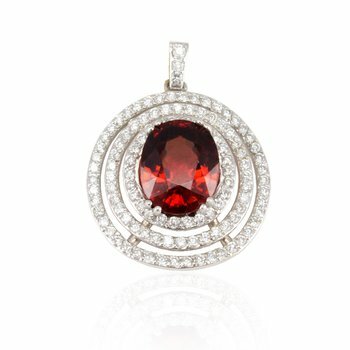 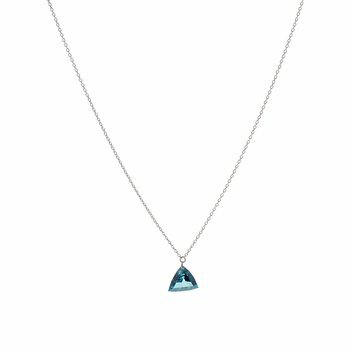 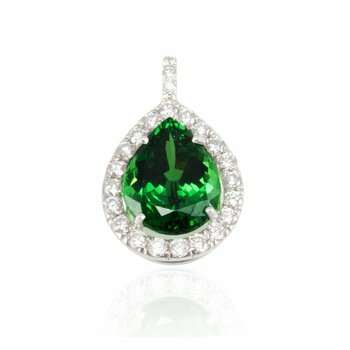 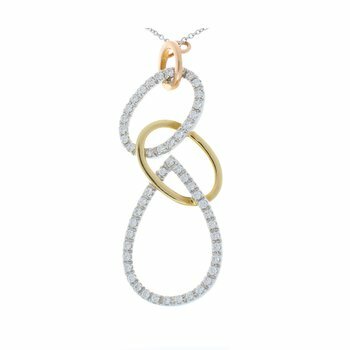 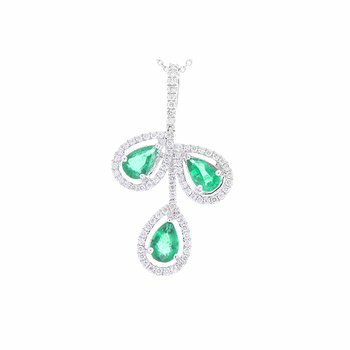 A trio of fancy-cut diamonds imbues this pendant with posh character. 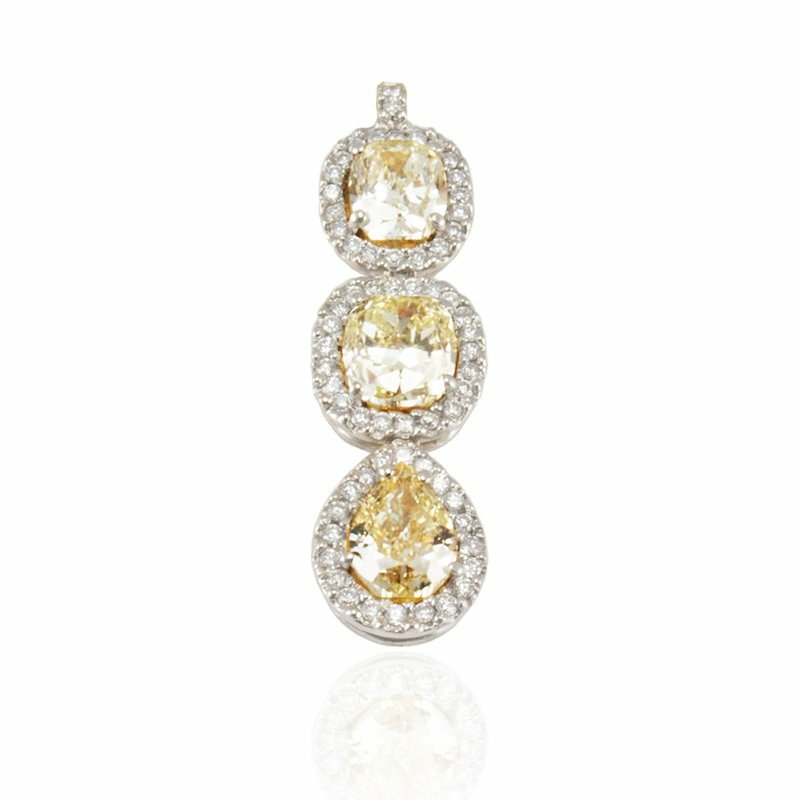 A combined 3.82-carats of honey-yellow diamonds provide energizing elegance. 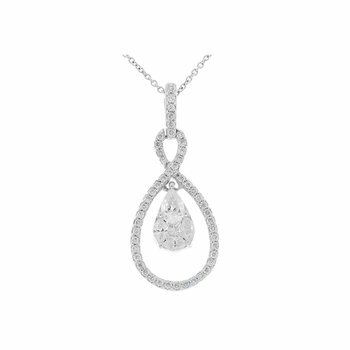 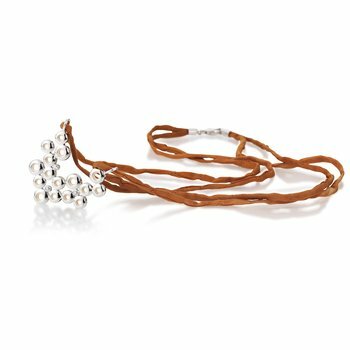 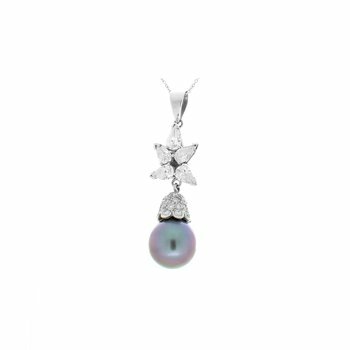 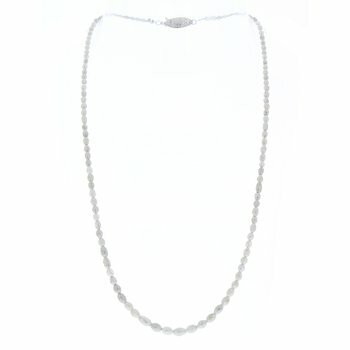 A half-carat of brilliant white diamonds encrusts this pendant in a bead-set design. 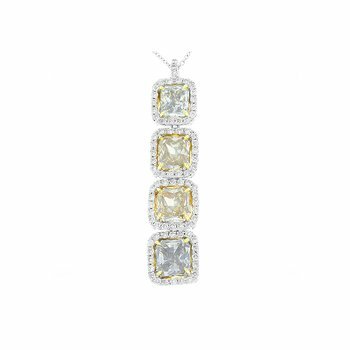 The 14-karat two-tone setting anchors the 4.32-carats of illuminating diamonds for a luxe finish. 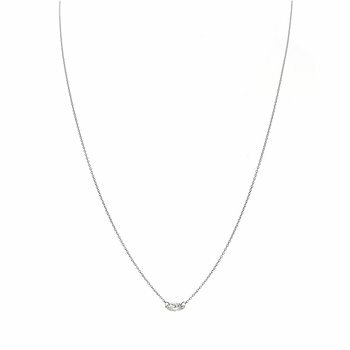 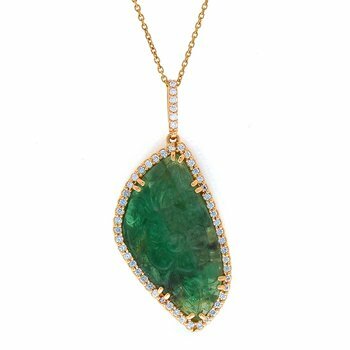 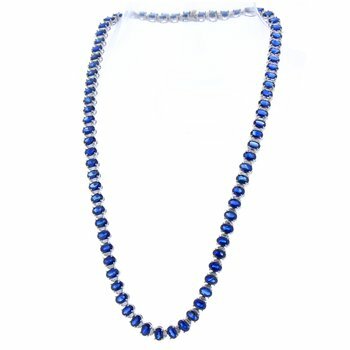 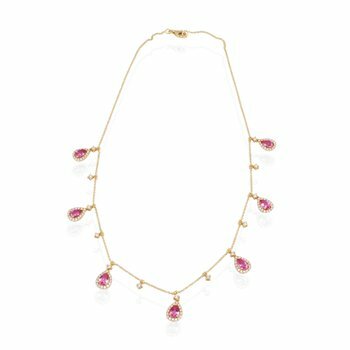 Slip this pendant onto a favorite chain for instant radiance.